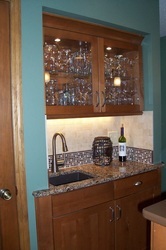 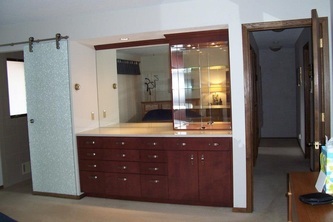 Double glazed upper cabinet add to the open feeling in the kitchen. 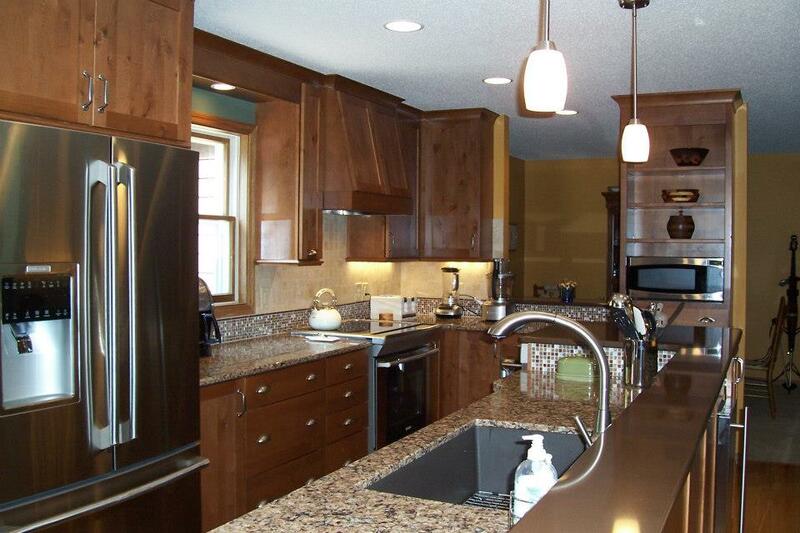 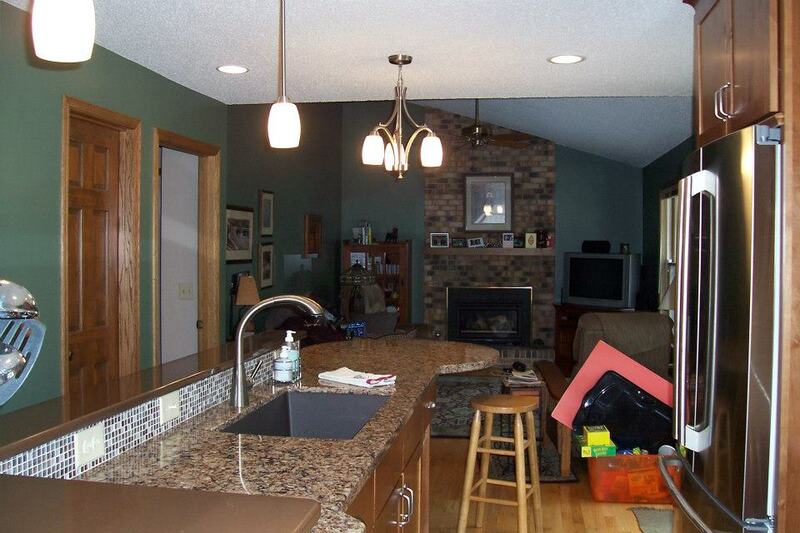 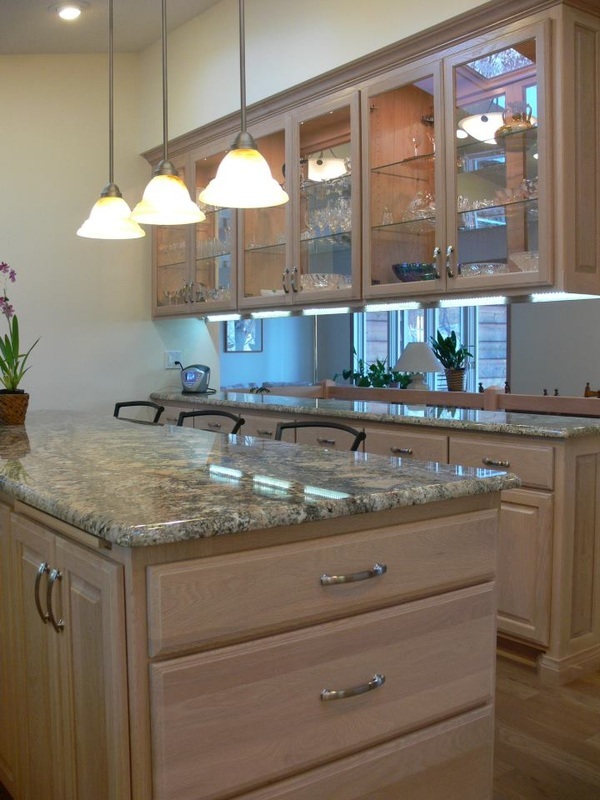 A large center island provides ample work space and seating for family and guests. A 5' x 8' 1970s bath given a sleek contemporary look glass and stone tile, frameless shower enclosure, wall hung vanity with vessel sink. 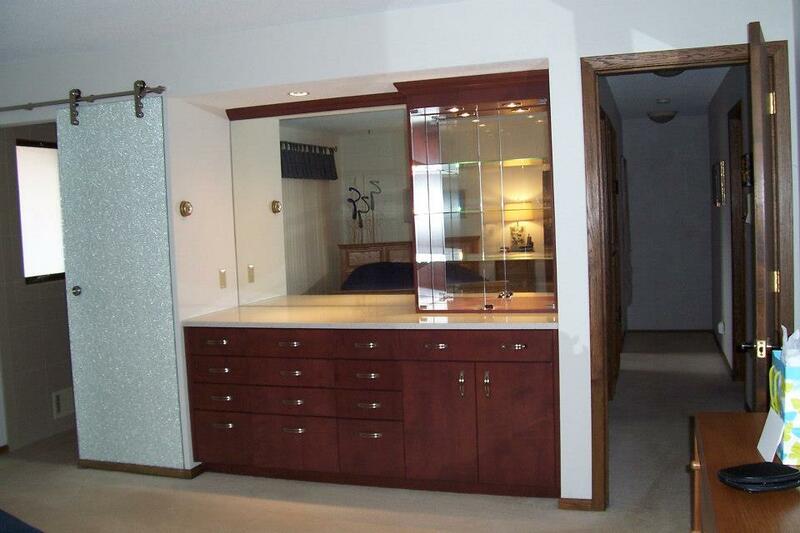 Built-in cabinets in the bedroom include a lighted mirrored display cabinet. 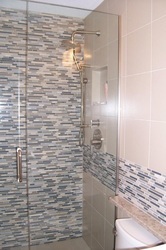 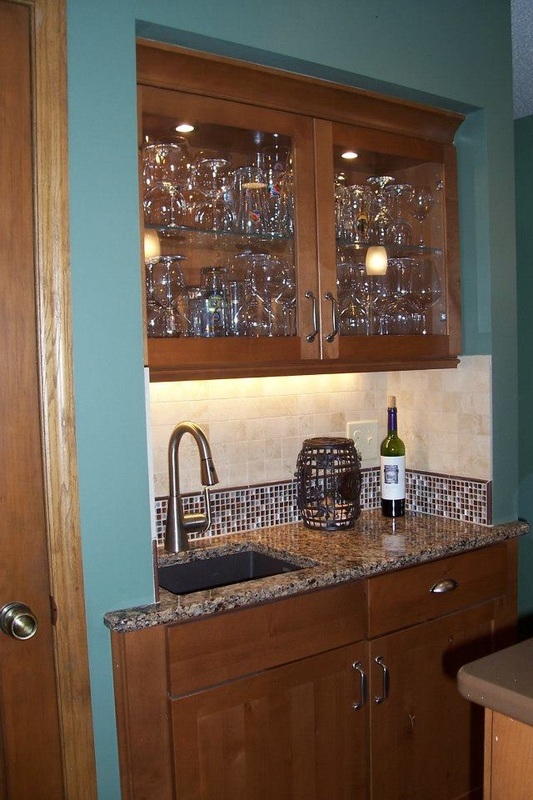 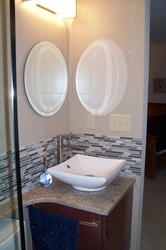 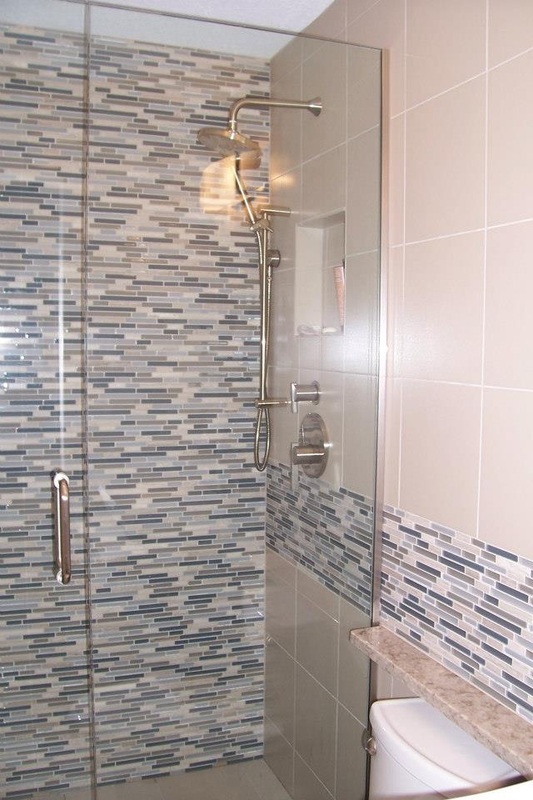 The door to the bathroom was replaced with an art glass sliding door. 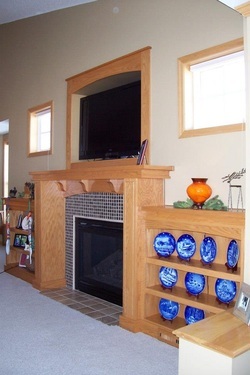 Custom oak fireplace surround includes framed TV nook and flanking bookcases.